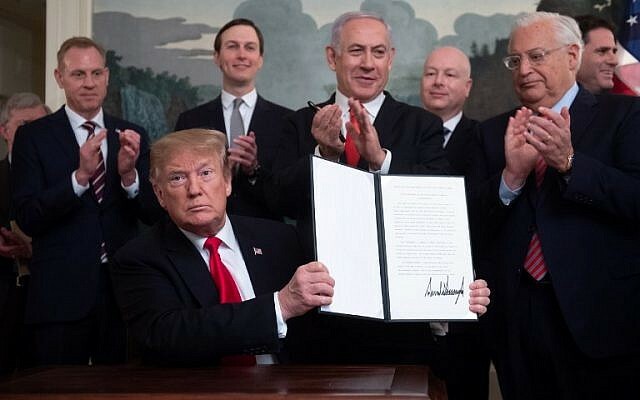 President Trump officially signed an executive order recognizing the Golan Heights as Israeli territory. Israel strikes back in Gaza. Trump cleared in Russian collusion in 2016 election.